Telling time is part of our school curriculum in second grade. Our kids learn about analog clocks, what time it is and how to tell time. They see digital clocks everywhere in our homes. Telling time is just the first part of time management. More than just telling time, time management is about prioritizing what to do when, how long a task takes, and breaking a task into smaller steps for completion. 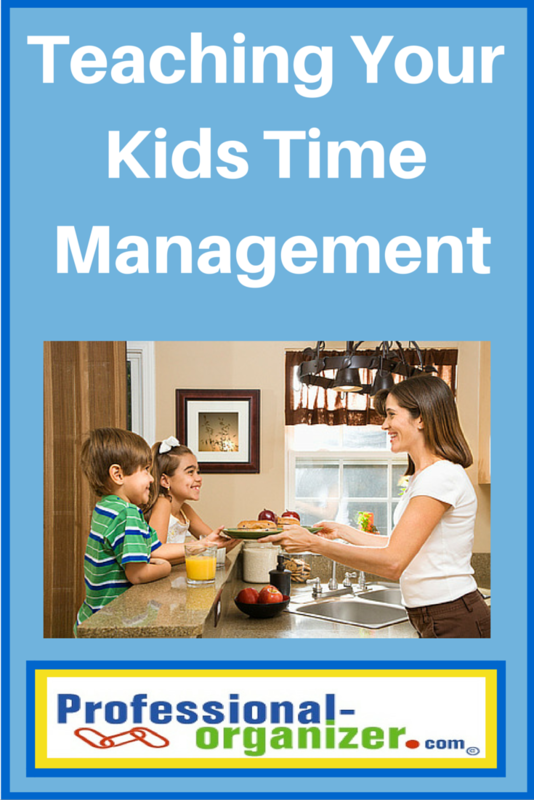 Teaching your kids time management skills takes time, practice and patience. Time management is about prioritizing, duration, and chunking. We prioritize what tasks need to be done when we have a date or deadline. How do we know what’s important when there is neither of these? Tasks become a priority when we have a clear value for ourselves personally. We have parents shaped those values with our family. We know the duration of a task, or how long it takes, from experiences we have. Each of us can do the same task but have it take different amounts of time depending on many parts. Allowing ourselves extra time to complete a task makes it easier. Chunking is breaking a task into manageable chunks. We can’t always complete a task in a certain amount of time, but if we break it into smaller bits we can be assured of completion. As parents are a “talking the talk and walking the walk” of our priorities for our kids. In elementary school most kids have a variety of academics and extracurricular activities. We have set up extracurricular activities for our kids to have varied experiences. Our priorities for their experiences shape their activities. If your family values wellness, choose one activity that includes exercise such as baseball, dance or gymnastics for each child. If your family values spirituality, attend weekly at church or synagogue or bible study. If your family values academic success, establish a daily homework time starting at an early hour. Keep mindful of how many priorities your family has. Weigh the value of over committing to an abundance of extracurricular activities. All activities are good, but which is best for your family. Your kids can be over scheduled in elementary school and feel stressed by being rushed between activities. Help your kids learn how long a task takes by establishing time for them to work on a chore or a project. We often are unaware or unsure of how long it takes to unload the dishwasher, look up information on a computer or complete a worksheet as homework. Keep a time log and see how long an activity takes. Set a timer and see how long an activity takes. Use a time timer and see how long an activity takes. Breaking tasks into management pieces takes practice too. It could be a school related project or organizing your space, but every project can be broken down into smaller units to complete. Use the pomodoro method with a timer, segmenting your work into 20 minutes time slots. Use a mind map and map out a plan for each step of a project. Make a list of the steps in a project. Each of these tools helps you model time management and engage with them in the process. We always need improved processes ourselves. Teaching our kids will make us use these tools more effectively too. Check out more on time management here. 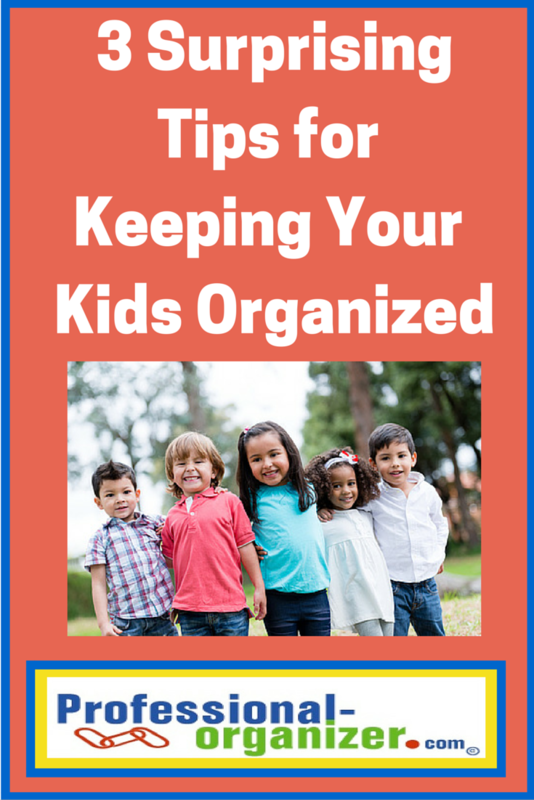 Keeping our kids organized can be a challenge! We know it’s an important teachable moment for the long term, but it’s also vital for our family sanity. An organized family feels more cohesive and positive. Even the most organized families can struggle with daily maintenance. Set up systems that are kid friendly as a start. The first step is to set up organizing systems that work for them. Create a system that works with their individual styles. A simple system is best for their clothes, media and toys. 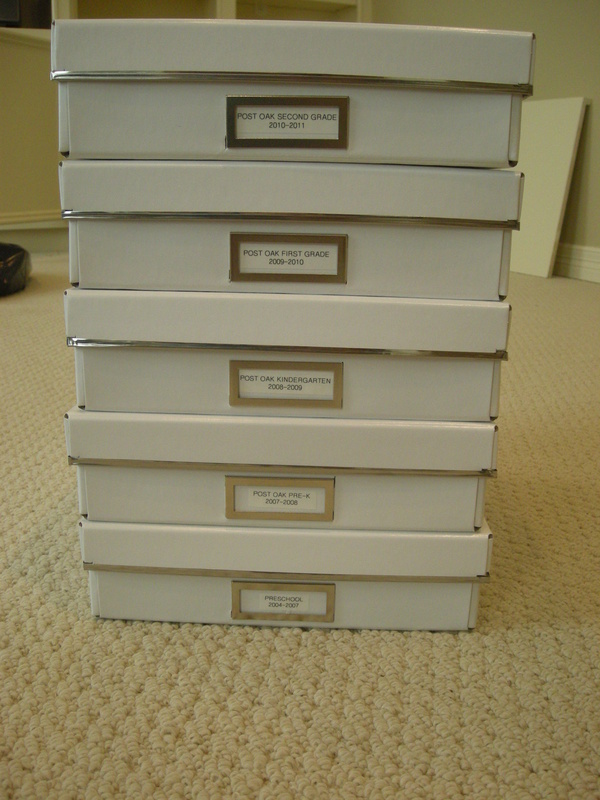 Give them a good baseline to stay organized. Do some decluttering with them twice a year to keep pared down. Without a time line, there is more coming in for our kids than going out. Working alongside them in their spaces, your kids will learn that decluttering is an important life skill. Rather than being overwhelmed, they will welcome the time working alongside you too. Check out these surprising ways to get your kids into organizing each week. Kids stay better organized when there is an innovative tool to use. Swiffers, cleaning wipes, and gadgets keep your kids engaged in organizing. Have a dust buster? 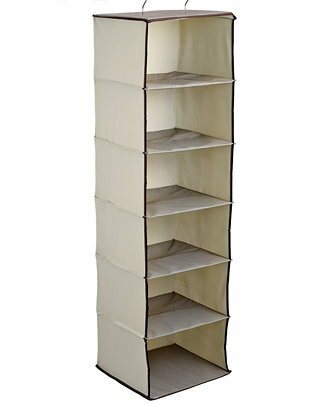 Have them break it out under their beds to clear out dust and get organized in their rooms. There’s lots of ways preschool teachers make organizing fun. They use the clean up song or set a timer. It’s easy to incorporate these same tools at home. Have a designated time each day for “resetting” your home. Use a timer on your smart phone or create a Pandora playlist for this time. For just 5 minutes each evening, get everything back to it’s spot. Make it goofy and get in the act too! Not a spot for everything? Have your kids use the label maker (another gadget!) to set up a spot. Just when you think your kids’ rooms could not get any more disorganized, it’s time to rearrange their space. Surprisingly by changing up the arrangement of the dresser, bed and books, your kids are more organized than ever. It could be the positivity of a new space. It could be the arrangement better suits their current needs. It could be that there’s new energy in the room. Kids will keep their rooms better organized once it is rearranged and they have a new room. When it’s more fun to be organized than not, our kids love to be organized! Get the latest and greatest organizing and productivity ideas each month. Join my newsletter. Summer is the best time to partner with your kids in decluttering your home. You have a little more time during the week without the pace of school. Your kids need a little something more to do around the house. Most especially we all need an annual time to declutter what has built up throughout the year. 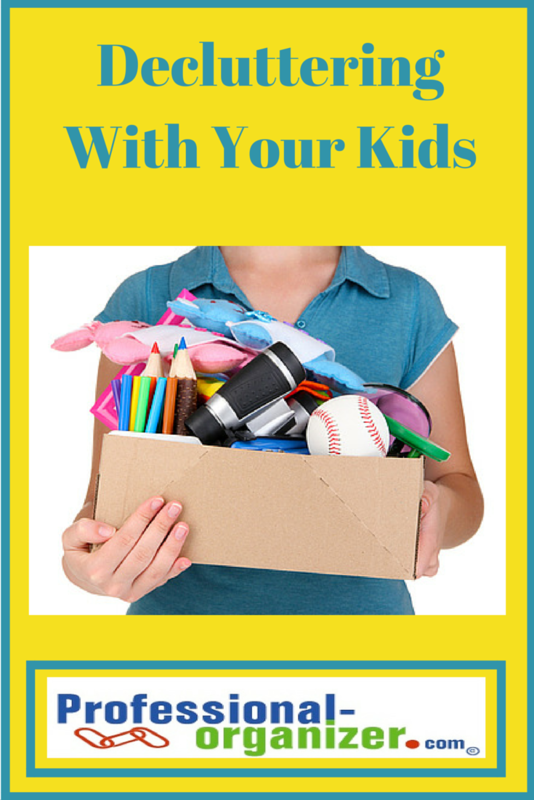 There are many philosophies on decluttering with your kids. All have merit. It’s time to think about what works best in your family. Many of us as kids were just sent to our room to “clean up.” It might have been a frustrating experience. Where do we start? What does our room need to look like in the end? What do we do with all our stuff? Work alongside your kids to get their rooms organized. Start with trash. There’s a lot of it! Trash includes anything broken, stained or unusable. Coach your child through categories. It can be general, like toys, clothes and media. Then work through sub categories, like XBox and Wii, Barbies and Barbie clothes, or vehicles and animals. Start to pare down once everything is grouped together. It’s much easier to let go of stuff if you know what you have. Keep working steadily with your kids until they start disengaging. It’s good for you to continue without then at this point and work until the space is complete. By working together, your kids will learn the organizing process, learn to simplify and learn that less is more! Sometimes kids’ spaces are too overwhelming for them to be a part of the organizing process. As the parent, you know there need to be changes. Go ahead and organize their space without them. It will be a blessing to them that you are working at organizing. You can delete toys and place these in black garbage bags in the garage to be sure you have not eliminated a precious item. Start by grouping items together, then deleting what is excessive. 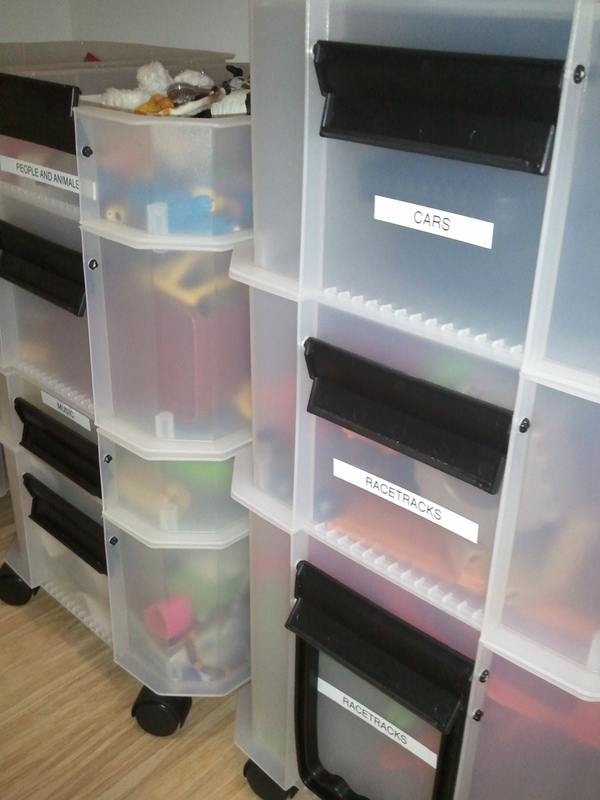 Create spots to store the items so that your kids can easily access them and label each spot. Your kids will need a “tour” of the space and some reminders on how to stay organized. Most kids have school and other papers in their space. It’s best to have a keepsake box for them. 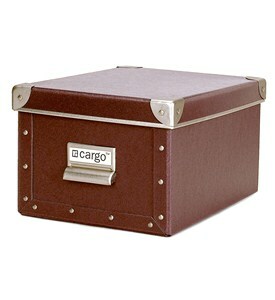 It’s a place to stash what they think is precious for their keepsakes. If your child is an artist, think of a display area for their work. Many parents are using clothespin lines for art display. If your child creates lego structures, think of adding ledge shelving for display. Honoring your kids’ keepsakes is another way of connecting with them. Your children can share their blessings by decluttering before a birthday or holiday. Encourage your children to donate to local philanthropies that are important to your family, such as a women’s shelter or relief fund. Sell the items online or at consignment and have them also learn about money. Go through your children’s clothes at summer and winter intervals to be sure only what fits is in the drawers or closet. 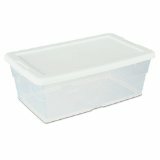 If you store clothes for the next sibling, keep these in uniform, labeled containers with the size, season and gender on the outside of the container. If your children are not ready to part with certain toys, the toys can “go on vacation” on an upper shelf or other storage area to be brought out later. Expect to work together for 30 minutes, and then finish up. 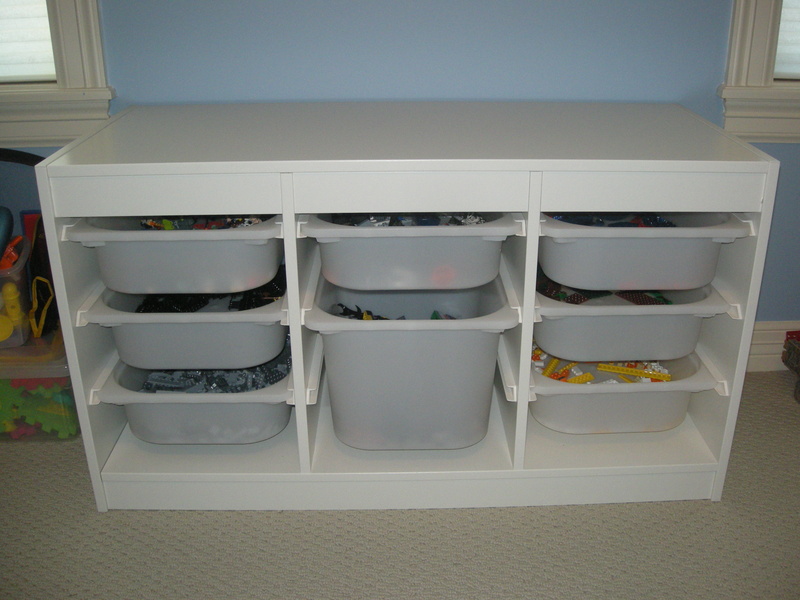 More organizing ideas for busy parents here! Can’t find your keys, phone or badge at work? It’s the little things that matter when being organized at work. Did you know your purse is an important part of organizing and productivity? 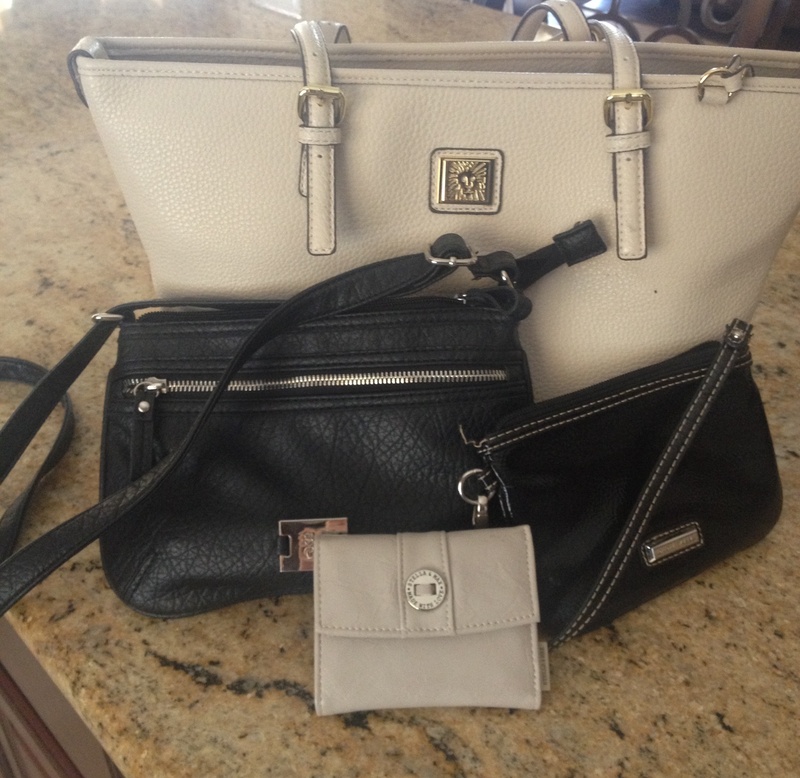 Not only will you be be effective and efficient with an organized purse, you will feel more confident. Here’s the strategy for organizing your purse! Start with a medium size cross body style purse. This medium size purse holds your phone and wallet. Use a small fold over wallet for your credit cards and drivers license. Add in a larger handbag with divided sections for your iPad and notebook. Finalize with a wristlet for use throughout the work day. Transfer your smart phone to this purse, keep your badge and pens in here all the time. Stack all the purses inside the larger handbag as you travel to and from work. Keep your keys in one pocket of this larger bag to be sure you know where they are at all times. Designate a receipt pocket for all those tiny slips of paper. Clear out your purse weekly to keep up to speed. More ideas for productivity here!